Intermittent functionality. DTC Code C1214 .etc..
FREE Return SHIPPING by USPS 2-3 days Priority Mail . Suburban,Astro Van GMC Safari,Yukon with Traction. If your ABS Module Looks like this image ,we can fix it. $49 Repaired with life time warranty . ABS Control Module Repair Service. Problem: DTC Code:CO110 or others. $89.99 with 4 years warranty. Turn around is 1-2 business day. place it in the Box that you ship to us. 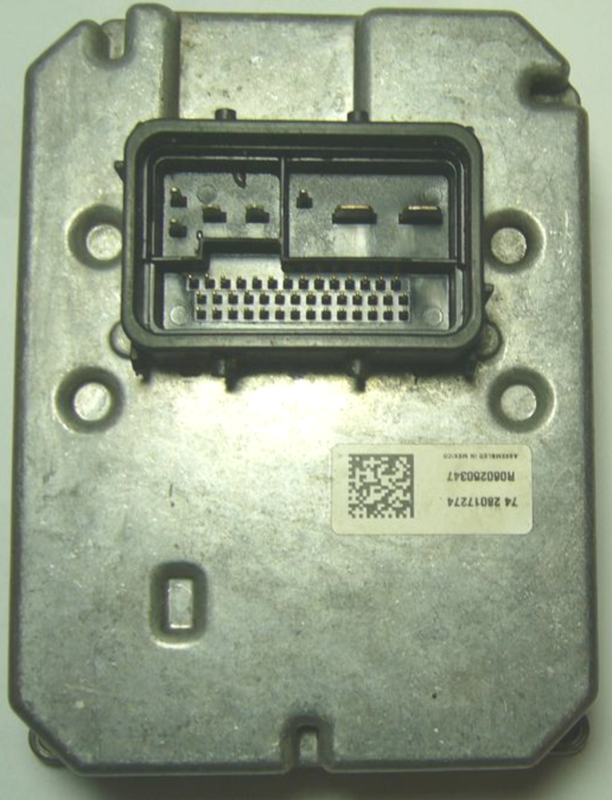 Electronic Brake Control Module without or with Active Handling (JL4.) Repair & Return Service . Repair & Return Cost $280 with 2 years Limited Warranty on Repair. Part Numbers: can be :09360921 ,09356971,09356961,0935696 or with some Variations. Turn around Time 3-5 business days. Return shipping free by US Post 2 days Priority Mail with Insurance. Warranty on Repair 2 years. Problem symptoms: ABS Light or Traction Control or Active handling light On. C1214, C1218,C1221,C1223 ,C1232,,C1233,C1234,C1243,,C1261 ,C1265, C1284, P1571 . 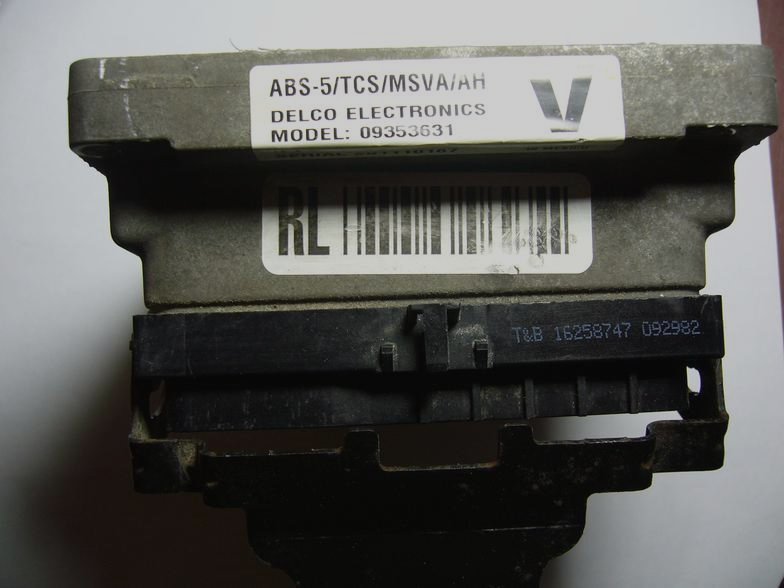 also for Abs disabled codes :check the Ground of Motor as is indicated on the System image, it should be around or less than 0.5 OHM against Main ground or a good ground on the chassis. please be aware not all EBCM can be saved or repaired ,also if there has been a prior repair attempt you should call us let us know so we consider if we want to repair such case. please fill out WORK ORDER Page ,please be advised diagnostic Codes must have their FULL Definition off the Scanner . Enclose completed Work Order Page in your package that you ship to us. a copy of snap shot picture of the scanner screen as code evidence. PayPal, or post office Money Order or cash is the Only form of payment we accept; we accept, NO BANK instruments such as credit cards ,if you pay with credit card , we will not take your case. Work Order page must be filled and accompanied with the package that you send in for Repair, without WORK ORDER Repair shall be Rejected. you will be redirected to the shipping address page at the end of checkout. In case If Valve Assembly & Motor(BPMV) needed in combination Test with the EBCM, please pay the additional $26 cost of Return shipping of the pump. All Material here is protected by Copy right laws. How to check EBCM in order to determine if EBCM is the source of the Problem for the wheel Sensor codes. This Technical support helps you in 5 minutes to use certain Instruction test with a Digital Multi Meter instead of buying and Replacing Bearings or replacing Sensors which will take 2 hours plus cost of those parts,only to find out it did NOT solve the problem. This instruction and Tech support is a $25 one time NON Refundable payment with PayPal payment only (No credit cards accepted). The reason that is Non refundable is when you learn this technical fast way ,we can not erase it from your brain. After you pay with PayPal you call us at (734) 228-8679 give us the PayPal Payment Transaction numbers, then we give you a one time usable password ,so you can be directed to the Tech help page for How To test the EBCM Fault or sensor Faults. You will save Lots of time and Money . when you buying this Technical instruction and intellectual Property you agree with the term of non refund ability that is mentioned above. To buy this instruction please click on the PayPal Pay Now sign and pay with your PayPal Balance or just buy a $25 PayPal prepaid Card from Any super market and use it. Hours of Tech support is 2 PM to 8 PM Eastern Standard Time (New York Time which is 3 PM to 9 PM, here, Michigan Time).